Bounce house and party rentals in Winter Haven and all surrounding locations. Thank you for visiting the A Bouncin Good Time Moonwalks website; Lakeland's best choice for high quality inflatable rides and party rental equipment. Only for community or corporate events. Beat the summer heat with the largest selection of water slides in the Polk County. The best thing about having a water slide in your backyard is there are no lines to wait in. 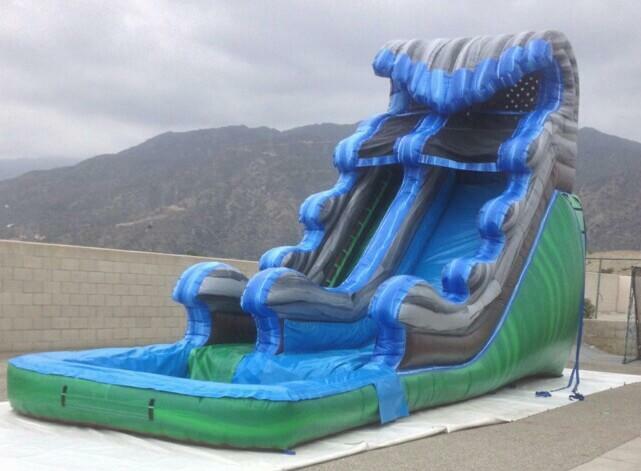 Our inflatable slides range from 13 feet tall to a staggering 32 feet of super sliding fun. 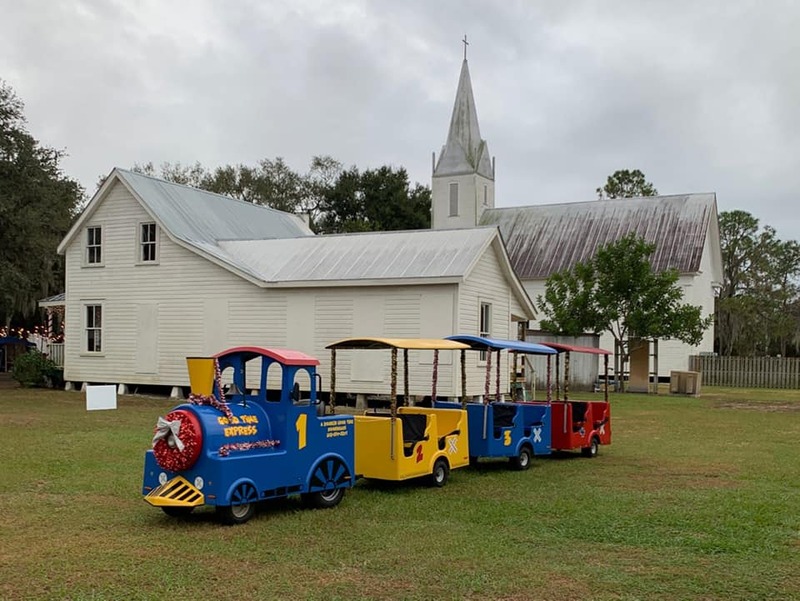 Our trackless train party rental is a big hit at church events, community events or just your normal backyard party. Kids of ages enjoy the laid back ride that our train provides and assures everyone has fun. This is a great addition for any get together. We can handle it with the largest selection of event party rentals in the area. Everything from bounce houses to real carnival rides, we have it all. Home of the tallest rock wall in Lakeland, Auburndale, Winter Haven, Florida. We will take your event to the next level ! Looking to add some unique inflatable FUN and excitement to your children's party or event? A Bouncin Good Time Moonwalks is the leader in party rentals Lakeland Fl. Winter Haven Area's first choice for Inflatable Rentals & Party Rentals! 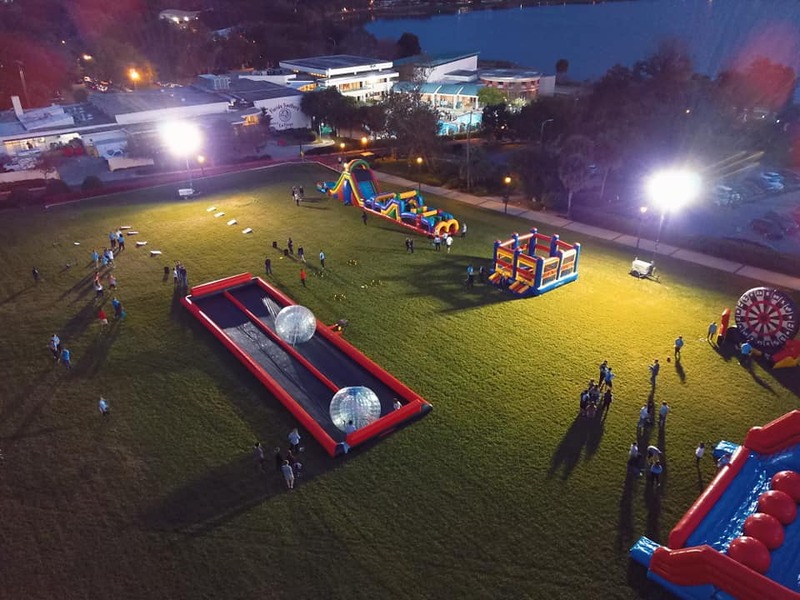 Our vast rental inventory of Inflatable Moonwalks, Bounce Houses, Jumpers, Large Slides, Water Slides, Trackless Trains, Water Games & Rides, Obstacle Courses, Inflatable Games and much much more will be the perfect centerpiece to any Event or Children's Party. Biggest selection and the best prices. We service Lakeland, Winter Haven, Bartow, Auburndale, Davenport, Lake Wales, Haines City, Kathleen, Eagle Lake, Polk City and all other areas of Polk County Florida and the entire Central Florida area. No one beats our inventory or customer service since 2004. They are known by many names: bounce house, moonwalks, jumper, bouncer or even a kids party inflatable thing. We call them a great time and we have a great selection with all of your favorite characters, Including Spiderman, Disney Princess, Batman, Frozen, Lilo and Stitch, Dora, Spongebob and many more. We also have inflatable slide, water slide, chairs and tables, and concessions including: popcorn machine, sno-kone and cotton candy. So whatever you want to call them we call them party rentals made easy. We provide party rentals Lakeland, bounce house rentals Winter Haven, bounce houses Haines City, party rental Bartow, inflatable rental Lake Wales, event rentals Auburndale, moonwalk rentals Polk City, event party Plant City, city event Mulberry, bouncer rental Dundee, party rentals Eagle Lake, bounce house rental Davenport and many more cities in and around Polk County, Florida with clean, ontime deliveries of Bounce House rentals, Waterslide rental, Rockwall rentals, and all other inflatable game rentals for any event or party rental need, big or small! So, don't jump around for a party rental in Lakeland for a moonwalk! Give us a call and have a bouncin good time! We currently provide bounce house delivery, set up and pick up to the following cities but not limited to: Lakeland, Winter Haven, Auburndale, Haines City, Davenport, Lake Wales, Eagle Lake, Dundee, Mulberry, Lake Afred, Kathleen, Cypress Gardens, Highland City. For more information about our Lakeland party rentals service area, please visit our delivery area page.